Alan Cheuse is the author of five novels, five collections of short stories and novellas, and the memoir Fall Out of Heaven. His prize-winning novel To Catch the Lightning is an exploration of the intertwined plights of real-life frontier photographer Edward Curtis and the American Indian. His latest work of book-length fiction is the novel Song of Slaves in the Desert, which tells the story of a Jewish rice plantation-owning family in South Carolina and the Africans they enslave. His latest collection of short fiction is An Authentic Captain Marvel Ring and Other Stories. A new version of his 1986 novel The Grandmothers' Club will appear in March, 2015 as Prayers for the Living. You can find him on Facebook and Twitter. Revise, revise! When does it ever stop? Are writers ever truly satisfied with their work? We are an ever-changing species who are motivated by progression. It is commendable to find potential within your past work. I love that you can appreciate your former self while working to become better than before. Perfection is subjective, but like you said, with hard work, we are at least pursuing improvement. We all earn bragging rights sometimes — especially those with a few novels under their belt! ”College became the intellectual equivalent for revision.” What an insightful line! I’m not sure I can add anything to this idea other than to say how much I appreciate it. There were two things that stood out to me: “Writing is revising,” and the way Malamud edited his essays. When I am writing, I am putting down into words what is in my head. As I start registering what I just typed, I make corrections for grammar mistakes, and to take out/add in detail. So I completely agree with this statement. Personally, I love writing by hand. Although I want to write books, I might just start by writing on paper and then transferring it to computer. Malamud was definitely onto something by this style of revising! I hate revising. So your blog post spoke to my heart because writing really is about revising. I hate looking over things for sharp turns or prickly pieces in my writing. But when I think about it, writing is revising. Maybe getting over that will help me to actually do it. Because you have no idea how many times I delete, edit, delete, type, delete, start over on a weekly basis. What a splendid journey your art has made! Embarrassingly, it was sort of a revelation for me to learn that “revision” does not mean “polish.” The more I polished, the more in love I became with certain lines as they were, which hindered me in the long run to see how I might break apart or restructure my stories for the better. Thank you for this post and the invitation to see the opportunities for revision in life as well as in art. I wish I could write longhand, as I feel I would be more open to revision and it’d be easier to make changes as I transfer it to the computer, but truth is it hurts my hand to write too long. This was an insightful post. 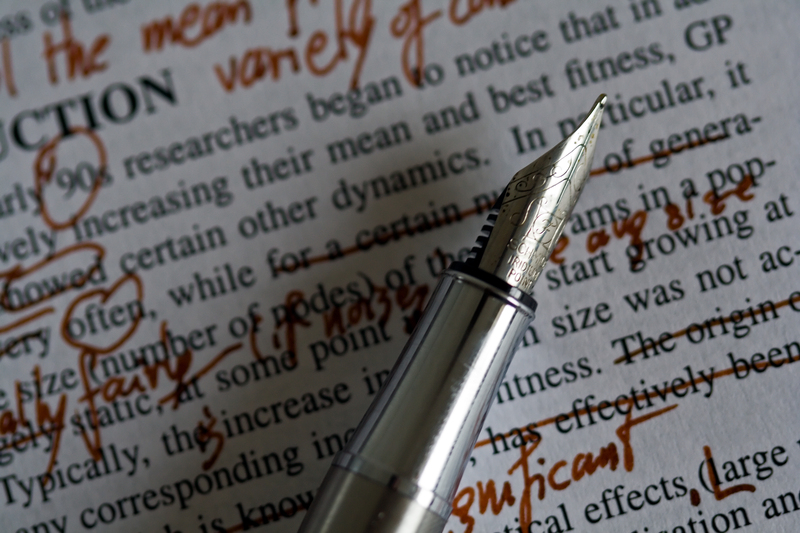 Writing is revisions – I like that.